Welcome to Yellow Marine Consultancy Ltd! 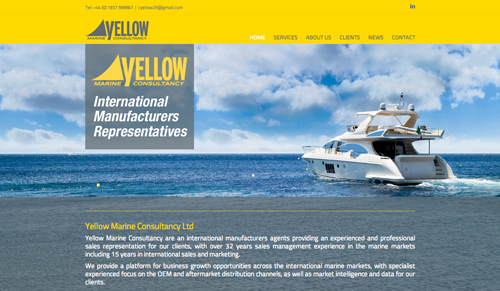 Welcome to Yellow Marine Consultancy Ltd and our new website! Our website will provide an essential online presence, act as a key method of communicating our benefits and services to potential new customers and also provide a means for showcasing new product developments, news and company information for our existing clients and customers. Please take a look around and feel free to contact us to find out how we can help you.